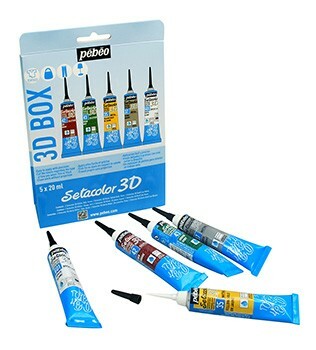 Pebeo Setacolor 3D Assorted Set 5 x 20ml tubes. 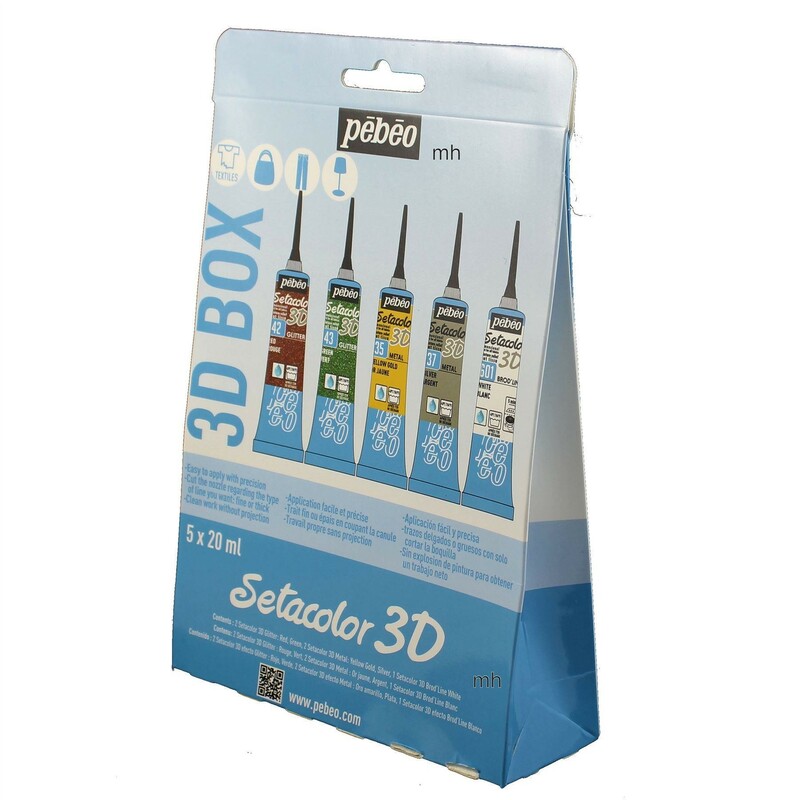 Easy to apply, Cut the Nozzle regarding the type of line you want (fine or thick). 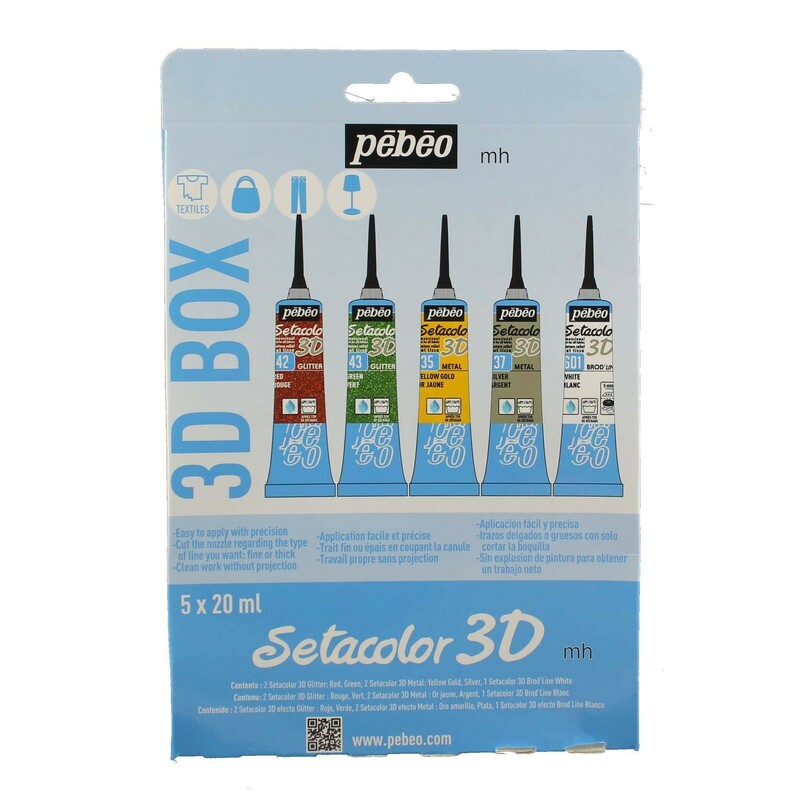 Contains 2 setacolour 3D Gutter: red green, 2 Setacolor 3D Metal ; Yellow Silver, 1 Setacolor Brod'line : White. Apply directly from nozzle, brush or sponge, on pre washed fabrics. Fabric are washable inside out at 40 c after 72hours od drying. Recommend short wash only, no softener, air dry. Adic Free .